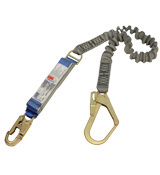 When your workers connect to a DBI-SALA® or PROTECTA® shock absorbing or positioning lanyard, they're connecting to a product that offers innovative features and reliable performance when it's needed the most. 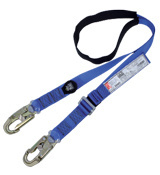 Plus, your crew not only stays safe, but benefits from a highly lightweight and durable lanyard that's also designed to be easy to use. 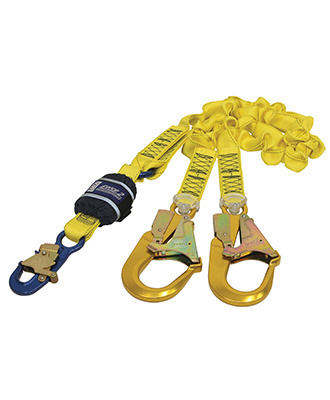 Several unique patented hooks ranging from small self locking and closing snap hooks to large scaffold hooks are available to accommodate almost any anchor point. 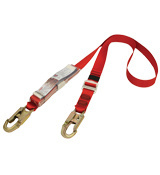 Our full lines of safety lanyards are made from the highest quality materials that meet or exceed rigorous safety standards. Trust the best lanyards in the industry. 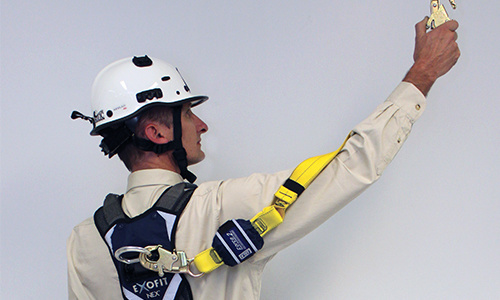 Lanyards used as part of a personal fall arrest system must contain an energy absorbing unit that limits fall arrest forces during a fall to less than 6kN. 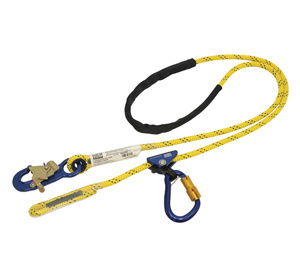 ​When a qualified anchorage connector is not available, a tie-back lanyard acts as both a connecting means and an anchorage connector. 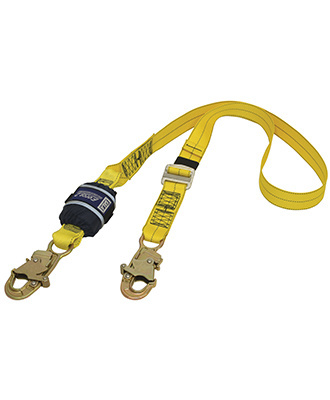 It allows the user to wrap the lanyard around the structure and connect back to itself eliminating the need for a separate anchorage device.​ These lanyards typically include more durable materials and hardware to handle the rigors of tie-back use. 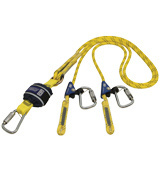 Designed for work positioning, restraint and assisted climbing. 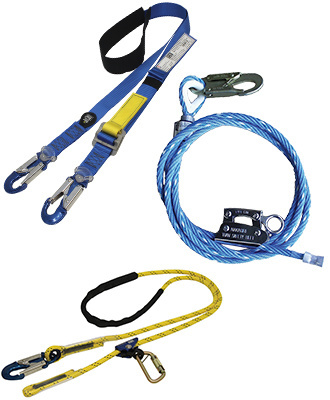 Our webbing and rope pole straps are extensively used within the utilities industries for climbing electricity and telecommunications poles under restraint. 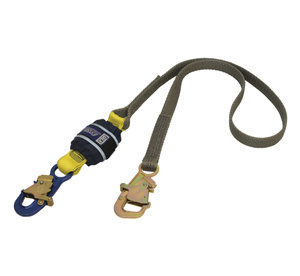 Specialist wire core pole straps are also available for use by arborists for use whilst trimming trees at heights. 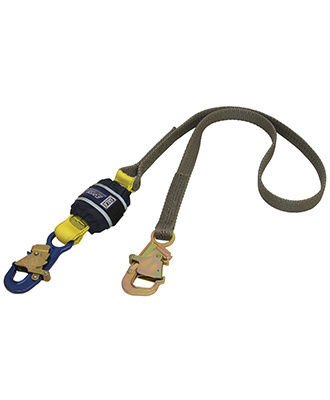 Pole straps are to be used for restraint only, they must never be used as a lanyard for fall arrest protection. When lives are on the line every peice of equpment matters! 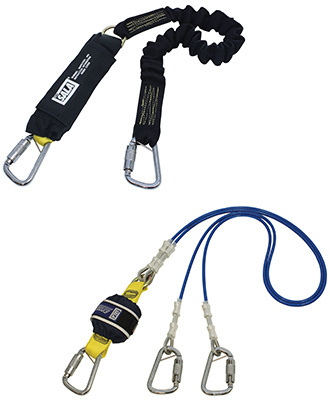 DBI-SALA’s range of rope pole straps are designed for work positioning, restraint and assisted climbing. Featuring a lightweight easy and efficient adjustment system that can be adjusted even whilst working. They are extensively used within the utilities industries for climbing electricity and telecommunications poles under restraint. 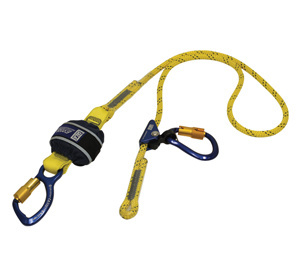 Specifically designed to withstand the rigourous requirements of tie-back use! NEW & IMPROVED - Now lighter, stronger, and more durable! Our new and improved Force2™ shock absorbing lanyards are now even lighter, stronger and more durable than ever, with an expanded range of connector combinations that are the lightest and strongest on the market. In adition our exclusive HI-10™ high tenacity fibre energy management material provides second-to-none abrasion, cut and chemical resistance and efficient shock absorption.